There’s always balance between standing out in a crowd and being smart with your trade show expenses – our custom displays are the solution! Affordable standard components and our outstanding design services for custom pieces gives you the POP you need without the DING in your wallet. 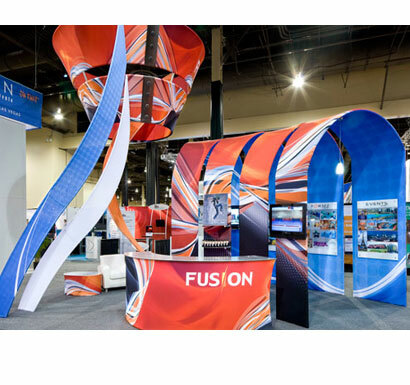 Fusion custom displays are made of lightweight aluminum and covered with dye sub printed tension fabric.